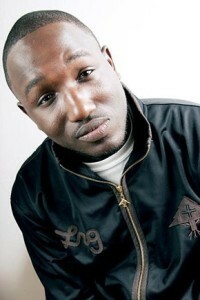 American comic Hannibal Buress exudes an easy charm as he takes to the stage at the Soho Theatre. This is his first time performing in London and on the second night of his run, he’s sold the venue out. Following on from his best newcomer award nomination at the Edinburgh Festival last year, he clearly has a growing UK fan base. His delivery is languid, bordering on nonchalant but his gags are sharp and well delivered. Occasionally he breaks from his relaxed style to build to up to climactic moments in his story telling. As the show progresses, Buress has the audience eating out of the palm of his hand as he navigates his way through his varied material. His stories move from the observational to the anecdotal as he shares with the audience his method for outfoxing argumentative taxi drivers, an experience of the Edinburgh Fringe and how it felt to have nasty things written about him in American university magazines. Buress is a highly skilled writer, building up narrative stories which are capped off with brilliant punchlines throughout the show. His style is accessible but also has real depth and variety. Though some of Buress’ references are of course fairly American, the approachable nature of his material, his assured delivery and killer punchlines mean that he easily translates to a London audience. If the strength of his current show is anything to go by, Buress should be able to draw bigger crowds in the UK in the future. He is a confident performer with an easy charm that is likely to win him many new fans. Highly recommended. Hannibal Buress is at Soho Theatre at 7.45pm. Ends 13 May. Tickets £10 - £17.50.